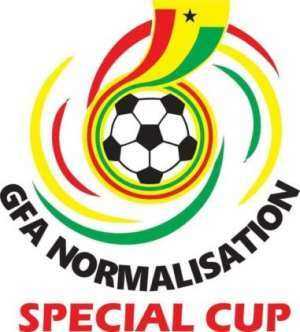 The launch of the competition which was held at the forecourt of the GFA Secretariat on Monday evening also saw the official unveiling of the competition’s logo. President of the Normalisation Committee Dr Kofi Amoah announced that each participating team will receive GHc30, 000.00 with the winner taking home GHc200, 000.00 whiles the runner-up will be rewarded with GHc100, 000.00 in tier 1. The tier 2 will have the winner take away GHc150, 000.00 as the runner-up gets GHc80, 000.00. Dr Amoah also stated that the competition will be “used to test the reforms that will be brought on board as well as the rapid adjudication of cases".